This versatility lends itself to traditional and nontraditional locations, with room for growth. The first location slated to open in these development markets is in Pueblo, Colorado. PJ’s is making its mark in the coffee industry with these plans to continue domestic expansion and increase international expansion. The coffee shop’s first international location opened in Vietnam. Now with three locations, the brand hopes to open another 10 in the next five years. Because of rich Vietnamese ties to coffee culture, it’s no wonder PJ’s Coffee chose this as their first international market. Like in New Orleans, the French also left their mark on Vietnam’s coffee culture. The two regions have been intertwined with coffee traditions ever since, using similar ingredients and even enjoying coffee slowly, savoring the experience, just like New Orleans locals. Vietnamese coffee options are popping up in New Orleans, and now PJ’s is bringing their quality coffee to Vietnam. 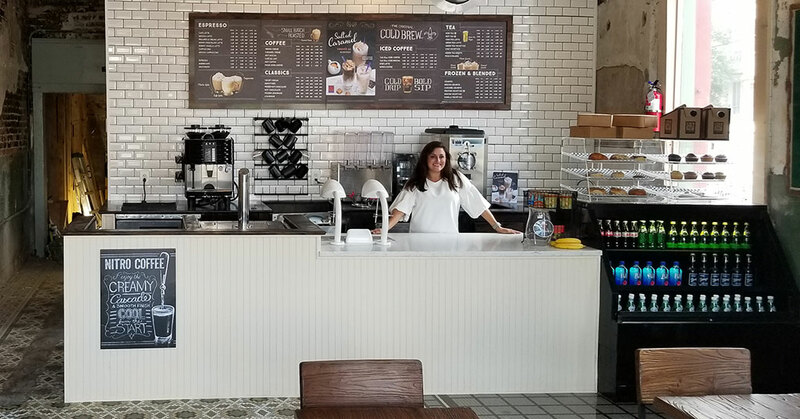 The two new locations serve a full menu with pastries, teas, and iced, frozen and hot coffee drinks. PJ's Coffee international expansion is continuing to grow with the recent awarding of a Master Franchisee in Kuwait and plans to develop in Malaysia in the near future, bringing “The Soul of Coffee” all around the world. Even with expansion. PJ’s is dedicated to upholding their coffee quality in their new locations. Felton Jones, PJ’s Roastmaster, says their roasting process is key. PJ’s Coffee continues to expand and introduce itself into new parts of the world. While targeting new markets the brand hopes to open 100 locations by the end of this year. If you’re interested in bringing a PJ’s Coffee to your community download our franchise brochure today.